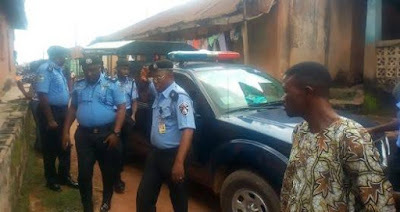 The Commissioner of Police in Osun State, Mr Fimihan Adeoye, on Tuesday led police detectives to a 419 shrine at Oke-Woru, Gbaemu area in Osogbo, capital of Osun State and dismantled it. One of the fraudsters arrested at the shrine, Oyegbile Durojaye confessed that the shrine was set up to dupe people. 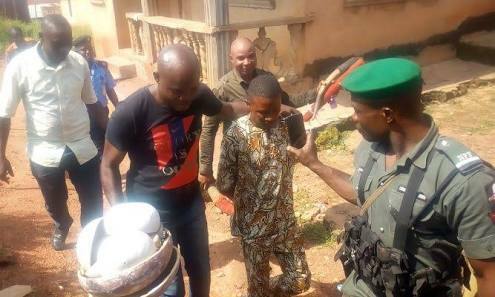 He confessed that the shrine was set up by a gang of 9 fraudsters who met inside a police cell in Lagos and resolved to venture into the con business as a way of making money as soon as they get out from the cell. The suspect said, “We are nine in this business. We met inside a police cell in Lagos and we became friend. It was from there that we planned this business. 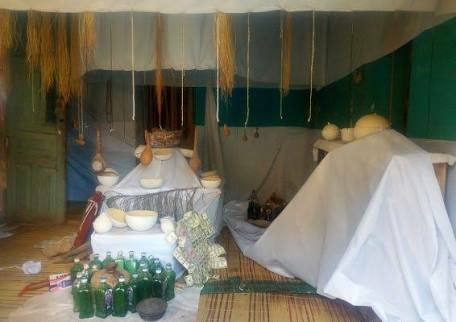 We are using Osogbo as the base and we set up the shrine here. “We usually bring our victims from Lagos and finish the deal here in the shrine in Osogbo. We are using this whole building and no one enters here that would not be scared. But it is a mere costume. We have some women among us whose role was to act as witches”. “We have special rooms decorated in a scary way and we have one elderly man among us whose role was to act as spirit. "My role is to bring our victims to Osogbo from Lagos and present such person to the witches and the spirit in the dead of the night. Then, the witches and the spirit would tell such person to make his demands and pay”, the suspect stated. CP Adeoye told Daily Trust that police detectives are on the trail of other members of the gang. He assured that they would be apprehended to face the full wrath of the law.